Our call center often will be asked the question, "Why it is necessary to have a Logan Services Comfort Specialist out to my home?" or "Can you just give me a ballpark estimate over the phone?". To get the best answer, we asked our Sales Coordinator, Betty, how she would address those common, logical question. Betty tells us, "I am lucky enough to work for a HVAC company which helps me realize that there are many benefits to having a person out to my home to speak with me face-to-face about the replacement of my heating and cooling system. 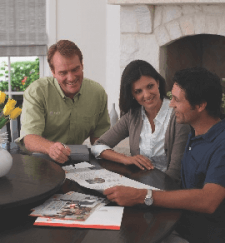 Let me share my 'insiders-take' on the 3 major benefits of scheduling a free in-home estimate on your heating and cooling system." If you are in need of a free, in-home estimate on your heating and cooling system, give us a call at (800) 564-2611 or send in your information on our website!